Celebrations for the 600th anniversary of the Battle of Agincourt will take place in England this year, and one of the world's top longbow makers, who hails from Powell River, will be in attendance. Jamie McDonald has been making longbows in the traditional style for the past nine years, out of Pacific yew trees. 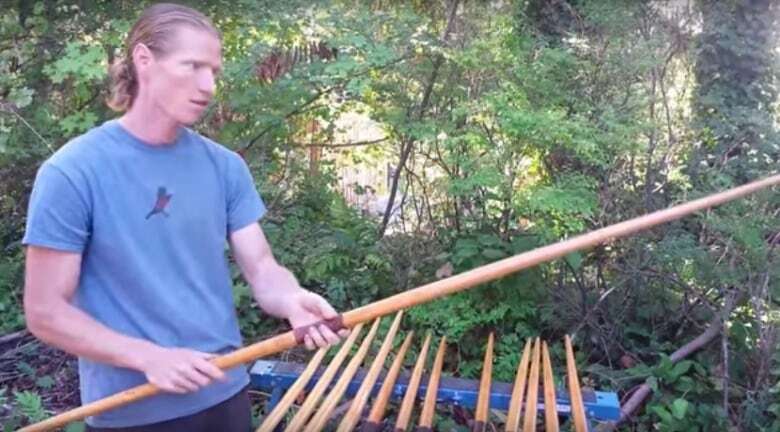 He's become known as one of the top bow makers in the world and will be teaching bow-making for the battle's anniversary. 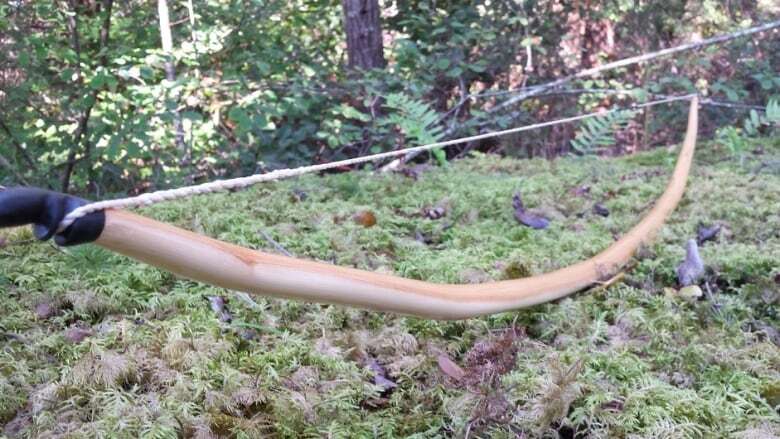 "The English longbow has a very distinctive style and shape to it," he said. "They're quite long, usually about six feet and upwards, relatively narrow, and rounded, they have a round belly to them." "The longbow was everything back in those days. It was the pinnacle of military might for about 500 years." The Battle of Agincourt was notable because it saw an outnumbered English force, mostly made of commoner bowmen, defeat a larger army of noble French knights. It sparked major changes to both military strategy and everyday life in England. The Battle of Agincourt was fought in northern France on October 25, 1415, during the Hundred Years' War between England and France. The heavily outnumbered English struck a major blow, killing much of France's leadership and making the armoured knight much less relevant in contemporary warfare. And when the English nobility saw the effectiveness of this new weapon, they made major changes to English society to take advantage of that. Jamie McDonald examines a longbow under construction. (YouTube/Ravenbeak Natureworks)"It was mandatory for every man in England between the ages of 12 and 60 to own a bow and 30 arrows and to practise for two to three hours a week," McDonald said. "You could actually be fined or go to jail for not practising archery enough." "It was entirely connected to national security. If they were invaded by the French, which happened regularly, every man on every farm could grab a bow and come to England's defence." The longbow also has uses for hunting, which is how McDonald became interested in making them. He was a hunter who grew interested in making his own gear. He eventually developed a passion for the longbow, and now sells his pieces worldwide through a distributor in England. McDonald makes his bows the traditional way: from a single piece of split yew wood, with maybe some animal horn at the ends. All of the work is done by hand. B.C. is a great place for his trade because yew wood grows in great quantities here. McDonald says First Nations also knew the value of the wood, and made paddles and bows out of the wood themselves. McDonald is excited to take his trade to the nation that birthed the weapon, and says the bow-making classes he's teaching in England are already filled up. To hear the full story, click on the audio labelled: Bullseye! B.C. bow-maker going to Agincourt celebration in U.K.